The Diaries are away in Paris at the moment. Back in a few days! Audrey Hepburn in "Funny Face" looks out over a Paris balcony. While this scene was shot on a sound stage in Culver City, the film has a lot of fun location footage with the actors dancing around the real Paris-and some very appealing interior art direction, too. Audrey Hepburn? You mean that's not you, Jenny? Enjoy Paris. 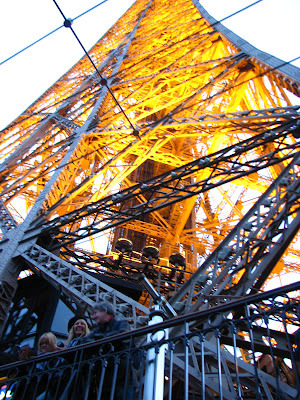 That's awesome...there is no other place in the world I would rather be right now, my final film is going to be set in Paris...I wish I had the money and time to go research there....have fun! Ha! But every woman does have a little Audrey in them, Mark-especially in Paris! 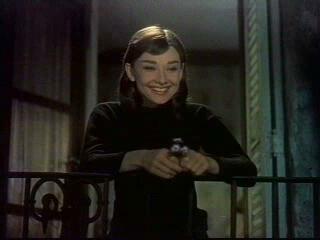 ; ) I certainly am enjoying it as much as she did in Funny Face. Thanks, Randeep-and good luck on your film! Paris is an inspiring place, alright...I don't really know how I can readjust to...Los Angeles.